Watch the webcast HERE to get a sneak peek into what ADAM can do. 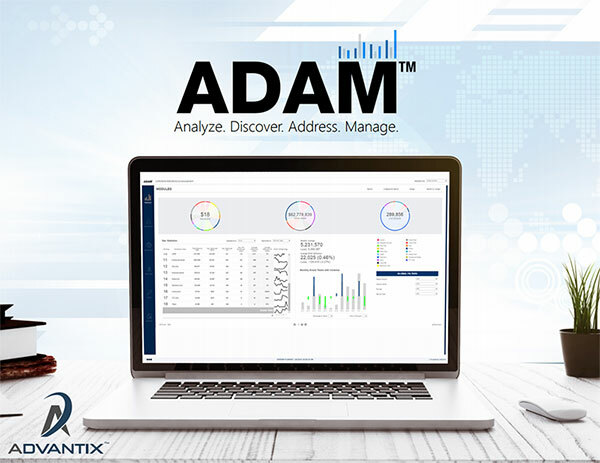 The introduction of ADAM™, Advantix’s comprehensive analytic smart suite, represents the first fully loaded and comprehensive analytic intelligence platform of its kind. 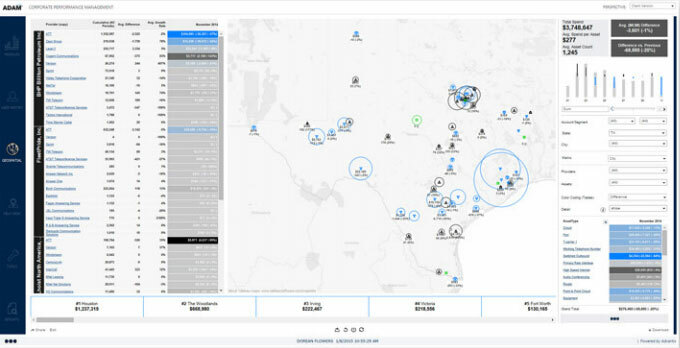 ADAM™ provides organizations with the information they need to make smarter and more informed business decisions, therefore, promoting operational efficiency and increasing program productivity. ADAM™ is equipped with a limitless capacity for data management (Cloud Based), which allows ADAM™ to support platform growth and remain responsive regardless of your platform size or growth potential. 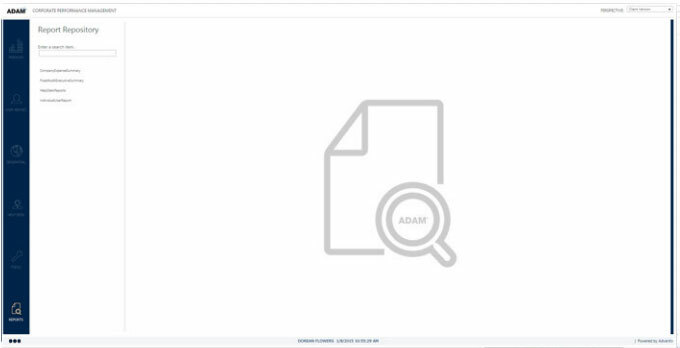 ADAM’s user interface provides clients with an easy to master and fully customizable framework with which to meet each individual client’s specific needs. 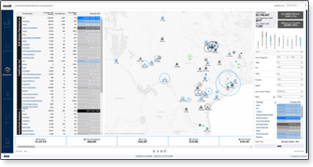 Choose from a number of carefully selected tool-kits built to help you better understand, plan and manage your organization’s telecommunications platform. 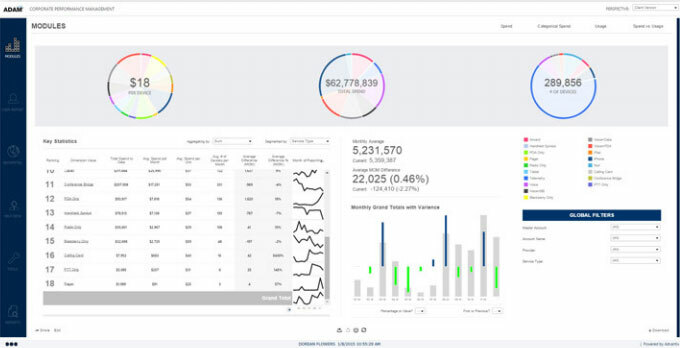 What if – Leverage what if analysis tools and measure the financial impact of various purchasing, growth and policy enhancements. 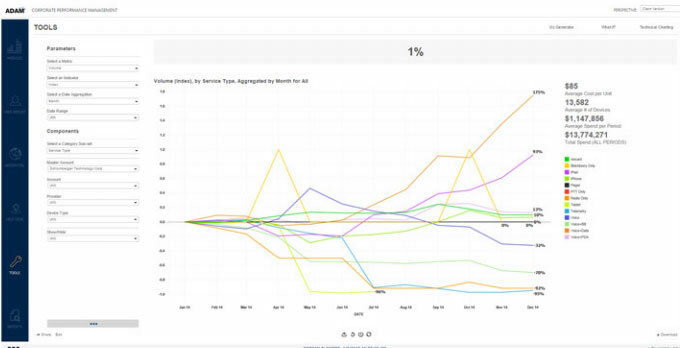 Statistical Control Charts – Utilize statistical control charting to identify the progress of newly implemented usage processes and initiatives. 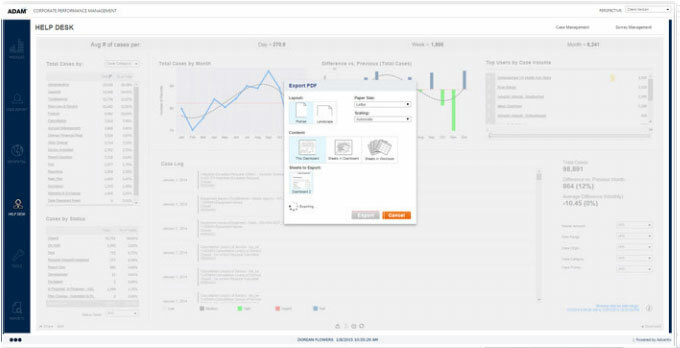 Indices and inflation – Monitor company-wide cost performance and savings rates by provider, device types, custom dimensions or cumulatively. Compare against a certain point in time: monthly, quarterly or annually. 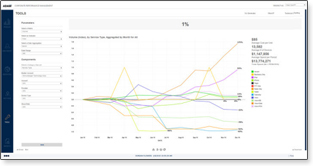 Forecasting and Predictive Analytics – Use preconfigured cost performance forecasting calculations in order to determine your organization’s current cost, growth and cumulative spend trajectory.